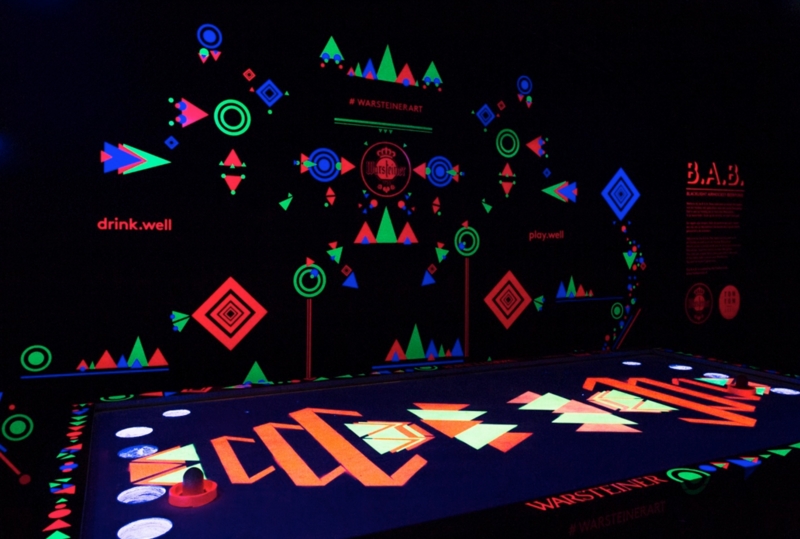 A Projcet for WarsteinerNL: a DIY Airhockey table customised for Hotel Bloom in Bruxelles. 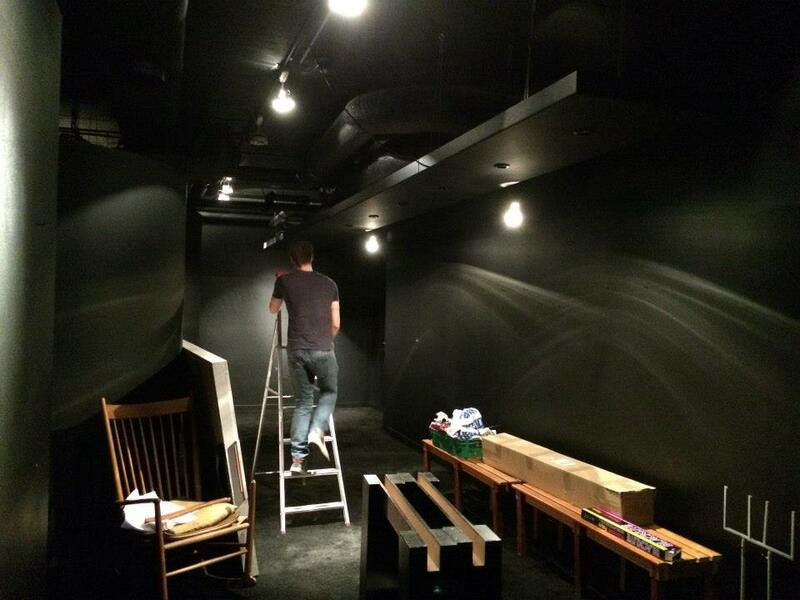 The hotel had a vacant completely black room available in which they wanted something freaky and inspirational for the visiting artists. 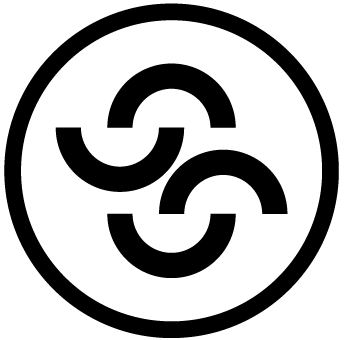 Jeugd van tegenwoordig recorded at their hotel for a month and 22tracks hosted shows there. 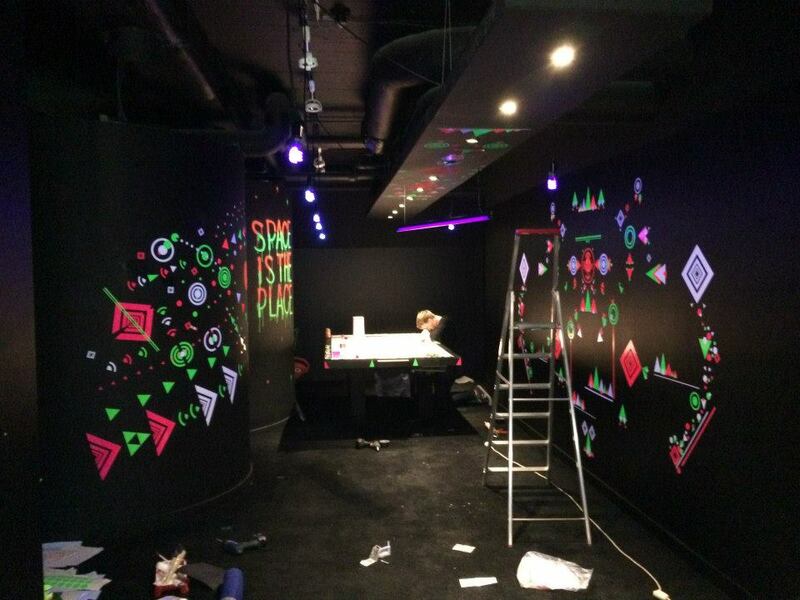 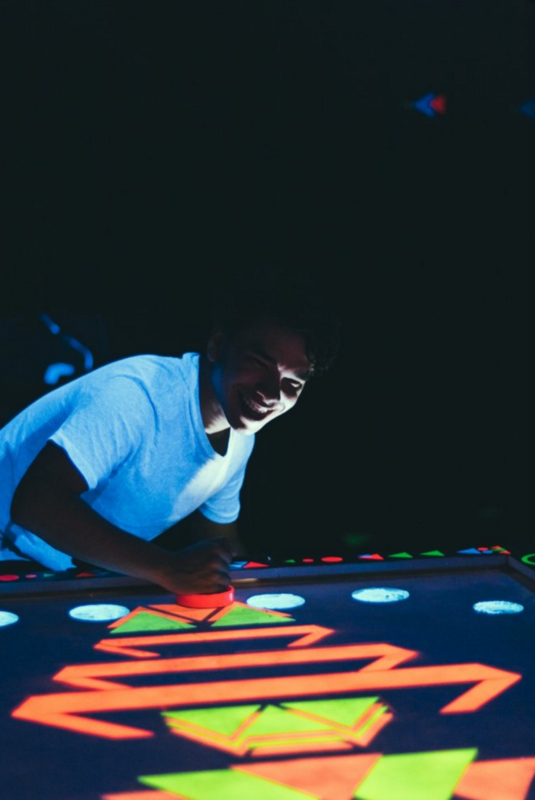 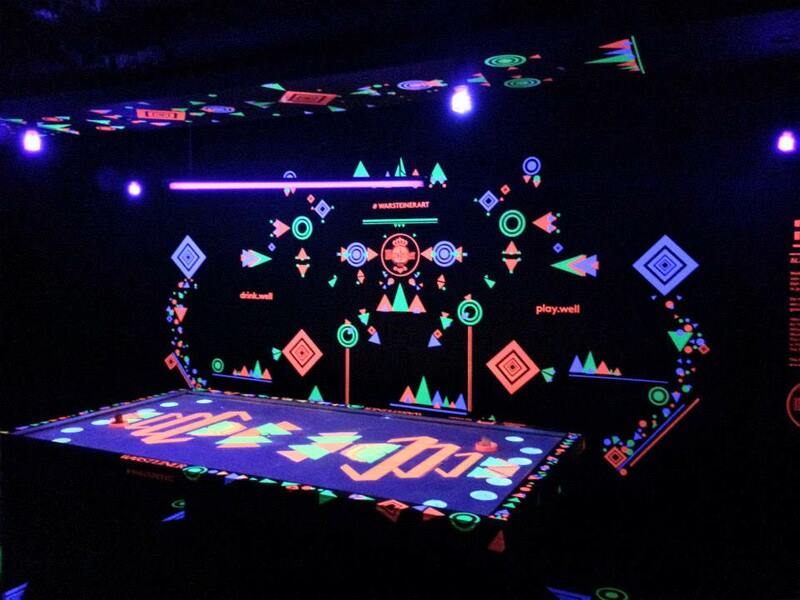 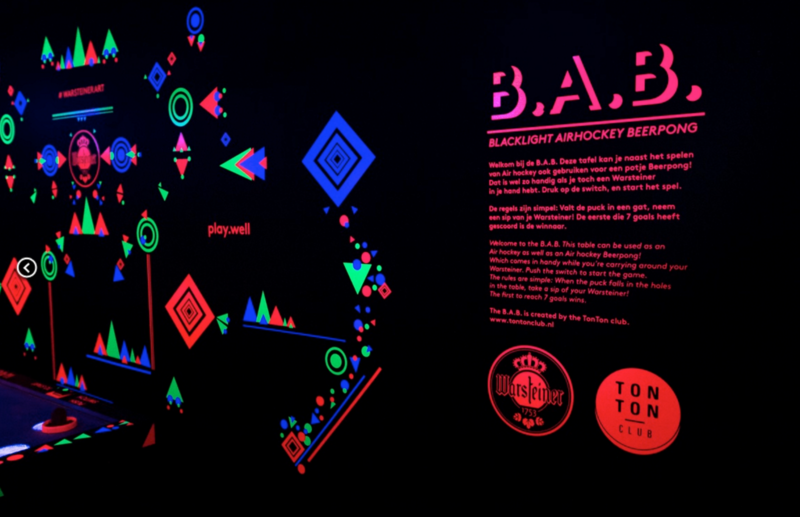 I went there together with typographer Ceizer and vinyl specialist Gokhan to create this blacklight airhockey room. 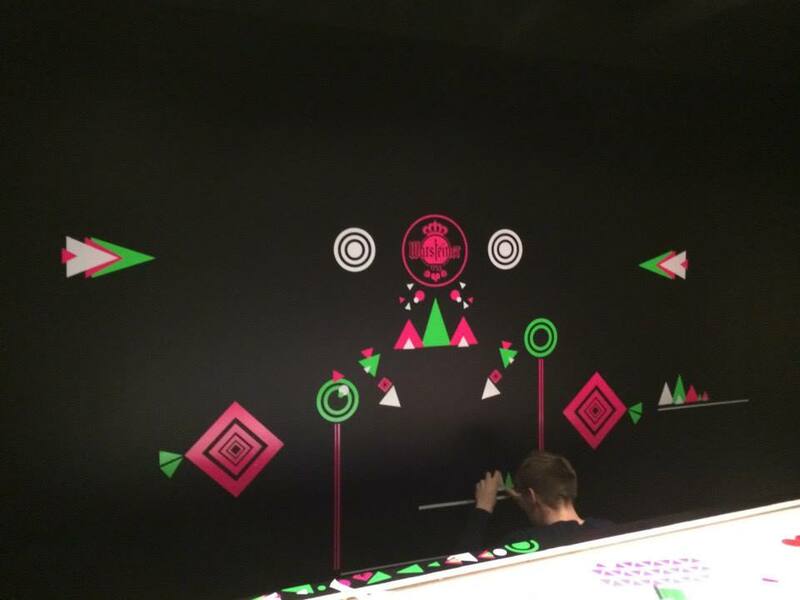 I was responsible for the graphics in the room and on the table. 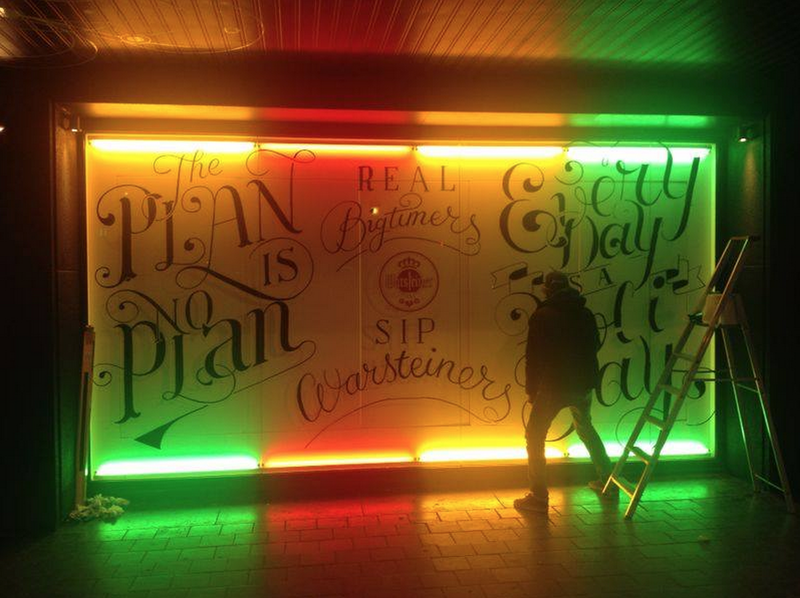 While Ceizer created the typography on the window.